An environmentally friendly glass and mirror cleaner which will deliver an excellent shine around your home without the use of chemicals. Rest assured that the Bio D range will always provide quality household cleaning and laundry products, without any animal testing, animal-based ingredients or the use of solvents. This very popular product from the Bio D range is no exception. Perfume free and biodegradable it uses only natural ingredients to make your house shine. Aqua, Acetic Acid, Coconut Oil Detergents, Vegetable Glycerine, Sodium Salts. 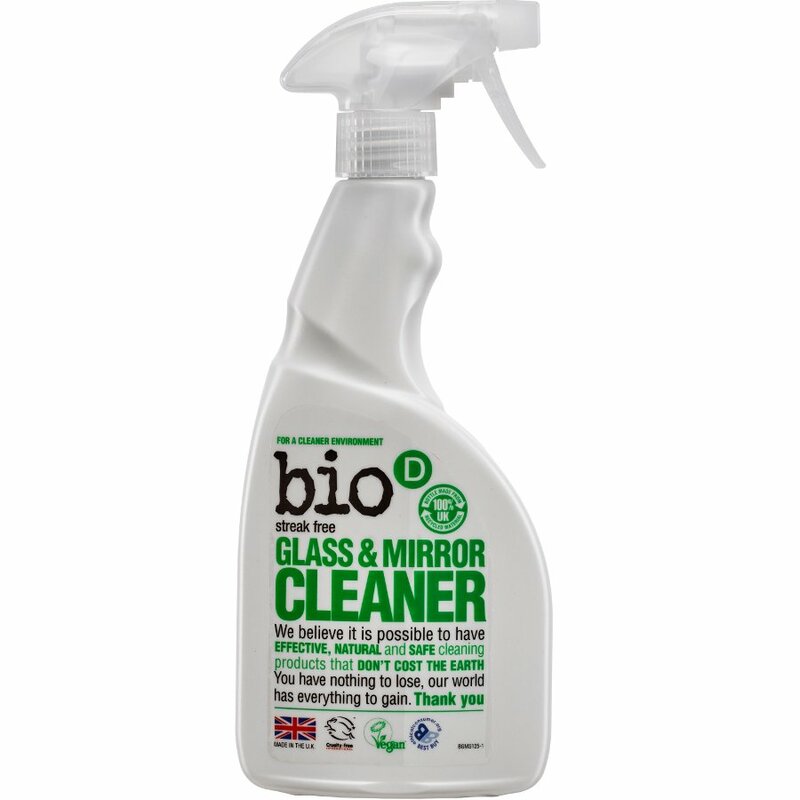 There are currently no questions to display about Bio D Glass and Mirror Spray - 500ml.